I am in the process of making a Flannel Board for Pete the Cat: I Love My New Shoes. I’m using the template many of my FFRUers have recommended from MakingLearningFun. 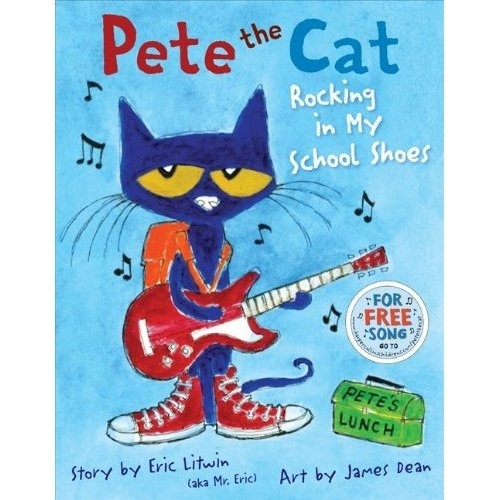 Pete the Cat: Rocking In My School Shoes! This activity would work well in a family storytime. You still need the read the book, but this activity offers kids a way to participate in telling the story. I made up 25 sets of 6 laminated picture cards. Each card features an item Pete will be doing/using as he moves through the activities that make up his school day. I hand out 1 set to each family, and ask them to lay out all six on the floor in front of them. 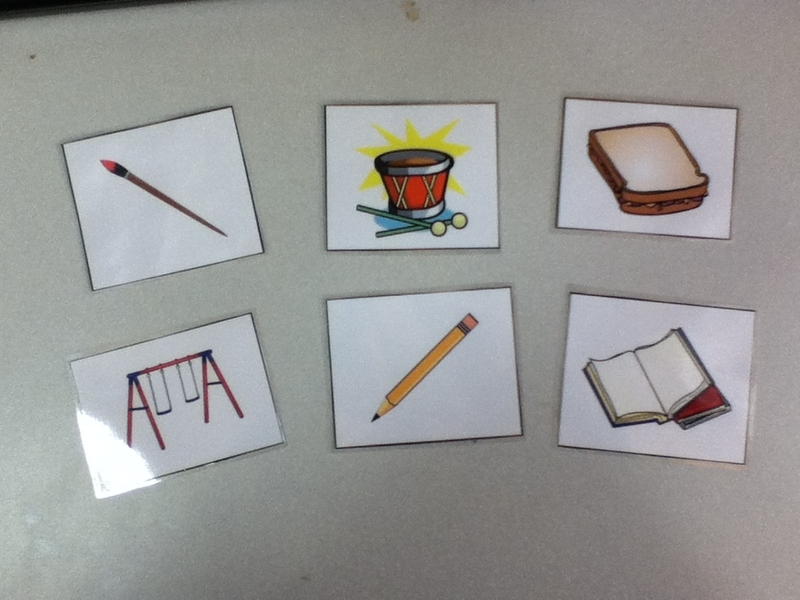 Then as you read the story give them time to figure out which picture matches the activity. Here’s a video of Eric Litwin visiting the Decatur Library in Decatur Georgia last summer. It’s an awesome demonstration of dialogic reading with big groups. He’s so cool. For more storytime ideas check out the Flannel Friday Round Up. Linda is hosting this week at Notes from the Storytime Room. And if that’s not a enough, the pinterest archive is a smorgasbord of storytime ideas. P.S. 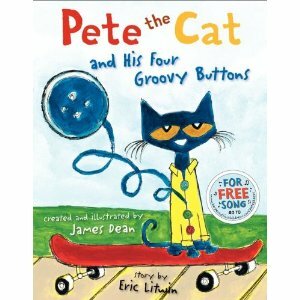 I just found out that Pete the Cat 3 is coming out in May 2012! Wahooo!!!! I love handout items for kids to bring up one by one to the board, but I REALLY love this idea of giving each child a set of something to examine, consider, and talk about. Yay! Thank you! I like it too! There are 2 aspect of these types of activities that I really like 1) you still use the actual book, and 2) offers the parents a lesson in dialogic reading.